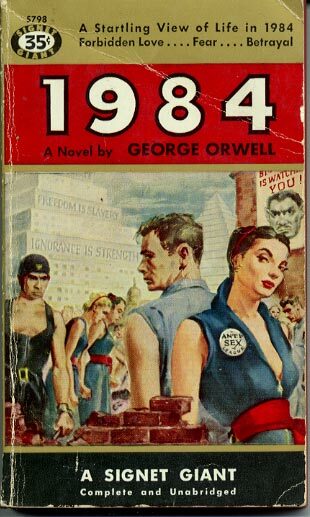 Let's look at the book 1984 ..... written by the bl00d cells and arm muscles of the biological expression structure named George Orwell. Jan 22, 2007 - In George Orwell's dystopian novel '1984', the world is ruled by three superstates: • Oceania covers the entire continents of America and . Newspeak and other terminology found in Orwell's novel "1984", with some additional words ... In Oceania, Big Brother is worshiped almost as if he were a god. ... personification of the power of the state in 1984 (1949) by George Orwell] a : the . 1984 + Base 16 hexadecimal = year 2000 .... Nature's Y2K bio-computer boundary line. Relative to the century boundary line of year 1900 ..... the above equation becomes the 100 year b100d equation. The 100 years VIEW is important to the hematology SYMBOL MACHINE .... because of the history of B100D wars. Keyword B100D --> alpha/numeric word --> alphabet letter B + number 100 + Letter D.
Thus the number 100 is important .... in the history of bloody battles . Let's return to 1984 and its hematology social engineering message DISPLAY. The Northern Illinois University shooting was a school shooting that took place on February 14, 2008. Steven Kazmierczak shot multiple people on the campus of Northern Illinois University in DeKalb, Illinois, killing five people. Thus the 1984 battle in DeKalb Illinois. The Virginia Tech massacre was a school shooting that took place on April 16, 2007, on the campus of Virginia Polytechnic Institute and State University in Blacksburg, Virginia, United States. Seung-Hui Cho, a senior English major at Virginia Tech, shot and killed 32 people and wounded 17 others in two separate attacks, approximately two hours apart. ... the MR.CHO --> the CHOSEN ONE for hematology b100d language sacrifice. 1984 + Base 16 hexadecimal ........= year 2000 ..... biological clock requirements, b100d laws, and brain bio-computer CLOCK errors. Thus we have 2 tragic EVENTS ...that provide a b100d LANGUAGE and bl00d social policy infomation ....... an ERROR database for hematology social science and language engineers / analysts. B100D ---> B 4 D North America --> Base 4 DNA --> such as 42nd Street, Time Square, Manhattan .....a city whose scientists, computer programmers, and medical personnel deny this possibiity of Nature's expression methods.